Integrative medicine expands your health care choices by treating you as a whole person rather than as a bunch of symptoms. Gerald Morris, MD, MPH, and Amanda Bacchus-Morris, MD, MPH, at AMG Medical practice integrative medicine so they can offer medical and lifestyle options and provide the unique treatment needed to help each patient maintain their physical, mental, and emotional well-being. If you’d like to schedule an appointment, call the office in Tucson, Arizona, or use online booking today. The doctors at AMG Medical respect and treat the whole person. They identify every aspect of your life that affects your emotional, mental, and physical health and then find solutions that help you heal. Integrative medicine practitioners strive to use the most natural and least invasive treatments. They combine conventional medical care with alternative therapies to ensure your health and long-term wellness. The doctors at AMG Medical are dedicated to working with each patient as full partners in their health care. They communicate so you understand your health issues and treatment options, then collaborate with you so you always have a voice in the decisions made. What conditions are treated with integrative medicine? 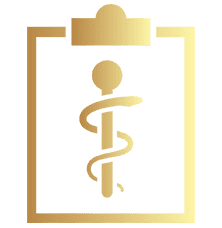 When your health condition is treated from an integrative perspective, the doctors at AMG Medical consider the full range of therapies available and work with you to choose the treatments that meet your needs. What types of integrative therapies are available? Many patients lack the nutrition their bodies need to produce energy, heal wounds and illnesses, and stay healthy. As part of their integrative practice, the doctors at AMG Medical offer full nutritional support, such as testing for deficiencies and providing dietary counseling to help you make healthy food choices. They also provide supplemental nutrition to correct nutritional imbalances. Lifestyle management is the first line of treatment for problems such as diabetes and high blood pressure. It includes nutrition and meal planning, weight loss and exercise support, and helping you find ways to make emotional or behavioral changes to support your well-being. Lifestyle changes are never easy, but you can count on the team at AMG Medical to provide ongoing support and to ensure you have the information and tools to successfully create a healthy life. When medication is needed to ensure your health, your doctor at AMG Medical considers the many medication options and how each one works, then carefully prescribes those that target your health problem. If you’d like to learn more about integrative medicine or schedule an appointment, call AMG Medical or book an appointment online today.